Designed in collaboration with Bryton, this powerful yet price savvy unit features a 2.6” screen, a massive 33 hour battery life, ANT+ and Bluetooth connectivity, plus turn by turn breadcrumb navigation. The unit is impressively light for the size, coming in at just under 80g. Designed to meet a variety of training needs for cyclists, there's an option to plan and perform workouts in the ‘Giant lab'. The ‘testing' option allows you to record your max heart rate, lactate threshold heart rate, FTP and MAP (max aerobic power). The step by step instructions on screen make it easy to follow, with the results auto imported into your account to improve your training zones and ride feedback. All of your data is stored in the NeosTrack app via Bluetooth or Wi-Fi upload, available on Android or iTunes. From here, you can easily set up auto upload functions to popular training apps such as Strava or TrainingPeaks. From the NeosTrack app, you can plan routes and upload back to the head unit with ease. The Giant NeosTrack comes supplied with a charging Micro USB cable, out front mount, stem mount and band fittings in the box. File Compatibility: Ride data saved in "fit” file format for uploads to popular training software sites such as TrainingPeaks™, Strava™, etc. Scientific training helps riders perform better. 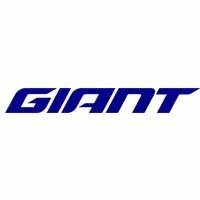 Giant NeosTrack GPS provides a variety of power data, from high-end training data for serious cyclists to basic riding data for those just getting into the sport. Instant access to valuable training data improves performance on the bike. And for casual riders, knowing how fast or how far they ride is always helpful in setting fitness goals.